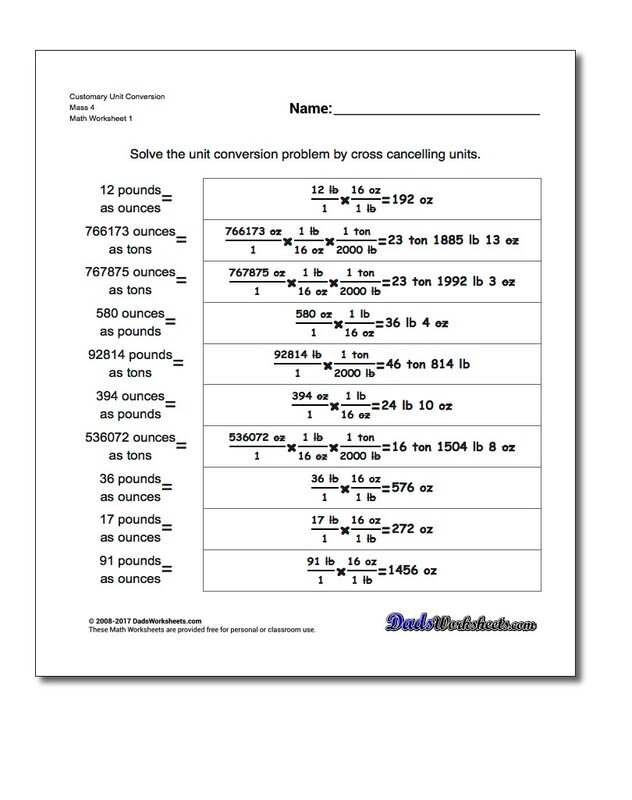 Unit conversion worksheets for converting customary mass units, including ounces, pounds and tons. The base unit of mass measurement in the customary system is the ounce. 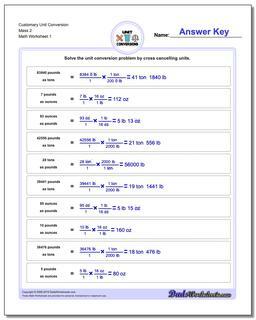 There are 16 ounces to a pound and 2,000 pounds to a ton. Converting between these units involves multiplying or dividing by the corresponding conversion factor, so for example to go from ounches to pounds, divide by 16, and to go from pounds to ounces, multiply by 16. 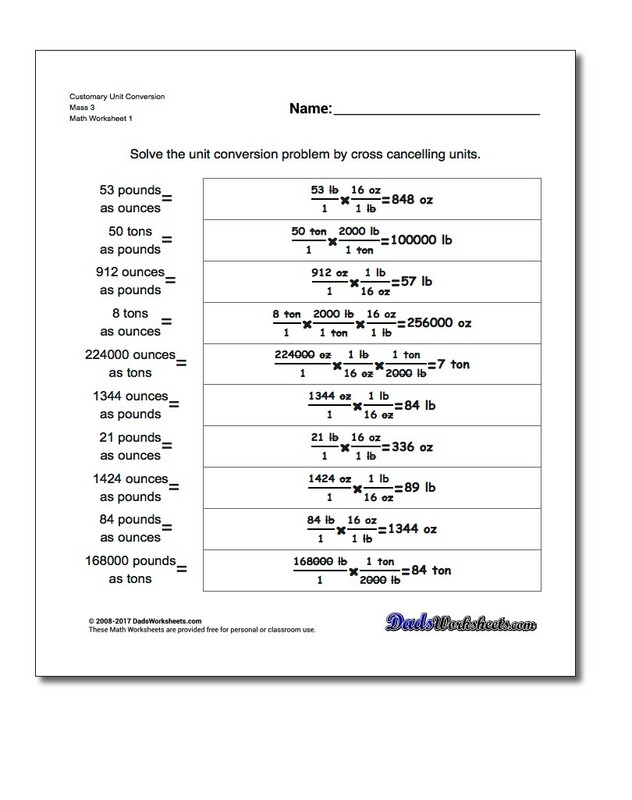 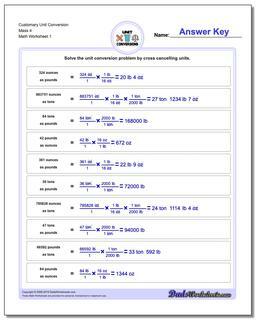 The conversion worksheets in this section deal with conversion of mass measurements where these calculations will be practiced. 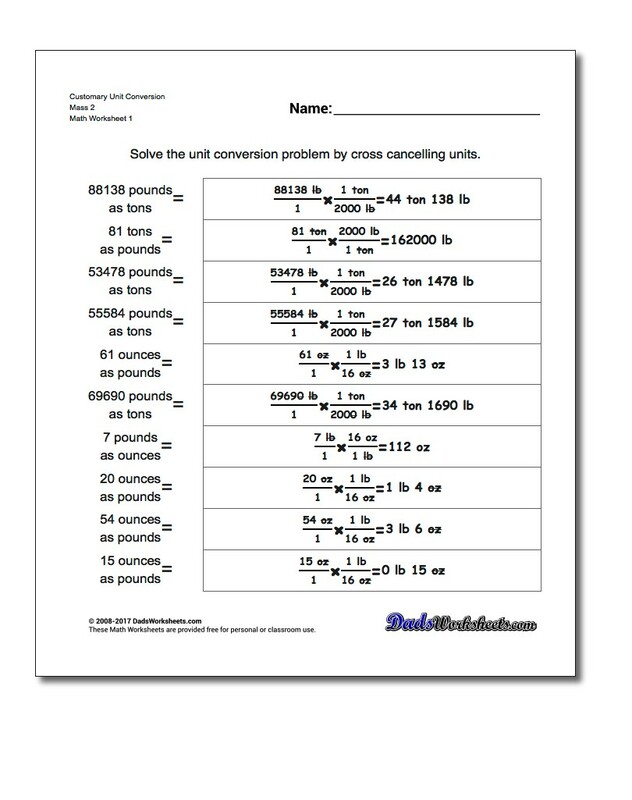 The worksheets start out with simple problems like ounces to pounds before progressing to conversions that require multiple steps (and multiple conversions) to reach the final answer (for example, ounces to tons). 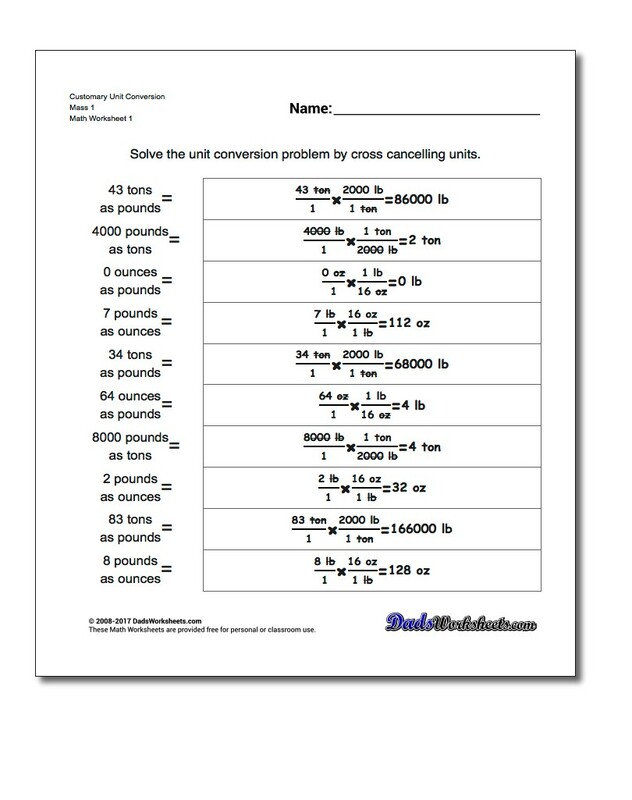 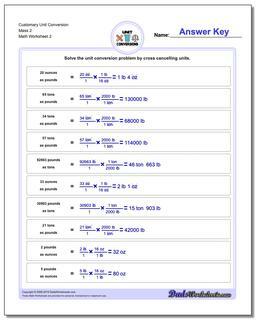 All of the worksheets include detailed answer keys that show how unit fractions are used with cross cancelling to get the correct output.